Many of us are scared to train with weights for varied reasons. 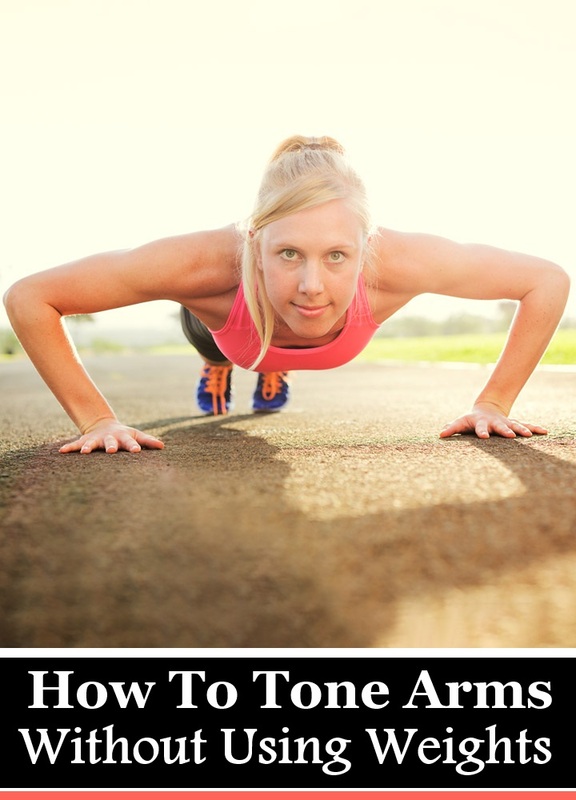 A common question arises how to tone arms without using weights? Is it actually possible? Yes, it is. You just need to do the right exercises.It is a complete myth that you cannot shed extra fat from your arms without using weights. Take care of your diet and follow the right exercises to keep your arms in shape and that too without weights. Just check out what all you can do. A very effective exercise to tone your triceps. You can use a medicine or sports ball for this exercise. Be flat on a mat on the floor.Now, bend your knees and ensure that your feet are just on the floor. Hold the exercise ball using both your hands, just above your chest. Toss it in air while keeping your arms straight. Catch the object and repeat the exercise. This exercise will tone your biceps, triceps and shoulders. Stand straight and stretch your arms to your sides. Keep your palm downwards and flatten your hands. Start by making small circles in the air and in a clockwise motion. Your arms need to be firm and strong. Do as many as you are able too and towards a direction. You can reverse and do anti clockwise. A great way to tone your arms without weights! Sit on the edge of any chair or at the edge of a bench. Stretch your legs in front of you. Now, you need to move your body as much as you can. Use your tricep muscles to lower your body. You will feel the pressure on your muscles. A great exercise which tones the biceps amazingly. This exercise can be done either by standing or while sitting. Start by keeping your elbows close to your body. Move your forearms so that your hands reach your chest level. You can do this exercise by clenching your fists. If you wish to add some weight you can hold a soup can too. Remember that you need to move your arms together for best results. You need to stand straight. Your feet need to be shoulder distance apart. Making fists, bend from your elbows and then bring the fists towards your chin. Just like a boxer you need to throw punches in air straight with as much energy you have.Your arms will extend completely from your shoulder level. You can twist a bit from your waist for every punch. Be careful not to hurt your shoulders. This exercise can be done 20 times in a day. This exercise can be done by sitting just on the edge of any chair. Your back needs to be straight. Keep your hand completely flat and next to you. Bend your elbow and slowly slide your bottom away from the seat. Bend your elbow again and lower yourself to the ground but stop a few inches above the ground.Come up by keeping your arms straight and hang in the air for sometime before sitting on the chair. Repeat the exercise for at least 5 times. Just do the above exercises and get perfectly toned arms without weights.